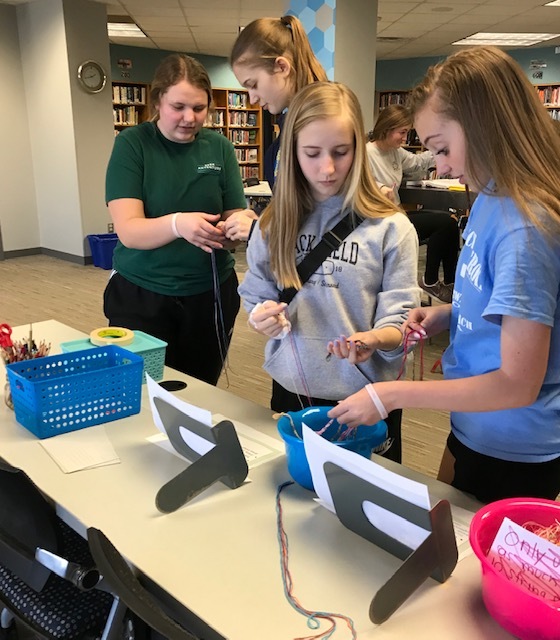 $18,093.36 was raised by the students at Mercy High School during Mission Week, a week-long effort to support educational efforts in third world countries. This year funds will provide basic necessities for misplaced, Syrian refuges living in camps in Lebanon. Sisters of Mercy are on the ground there providing help. Sponsored by the Student Council, activities included a class penny war, “glow dance,” dodgeball tournament, and a special pizza luncheon complete with booths and sale items of T-shirt sales, raffle tickets and an auction of lunches provided by the teachers and staff. Students also wrote postcards and made friendship bracelets for refugees.